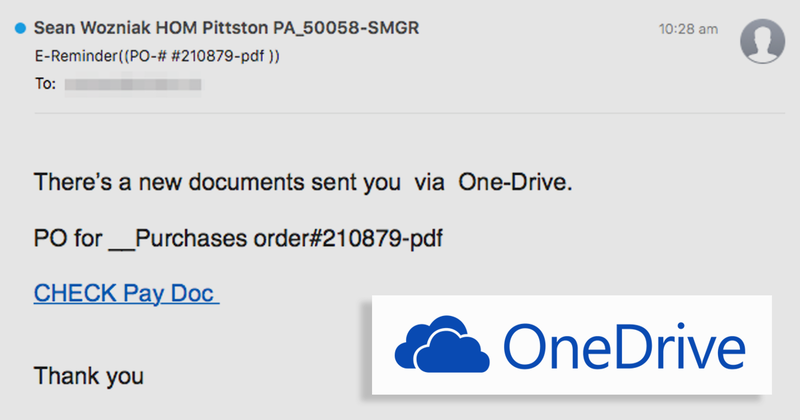 This scam message is meant to look like a quote request and is accompanied by an attachment containing malware. If you see this email - shown above - in your inbox be warned; this message is a phishing scam designed to harvest your password and login credentials. “Click on IT Helpdesk Tech to validate your email,” the link text in the message reads. 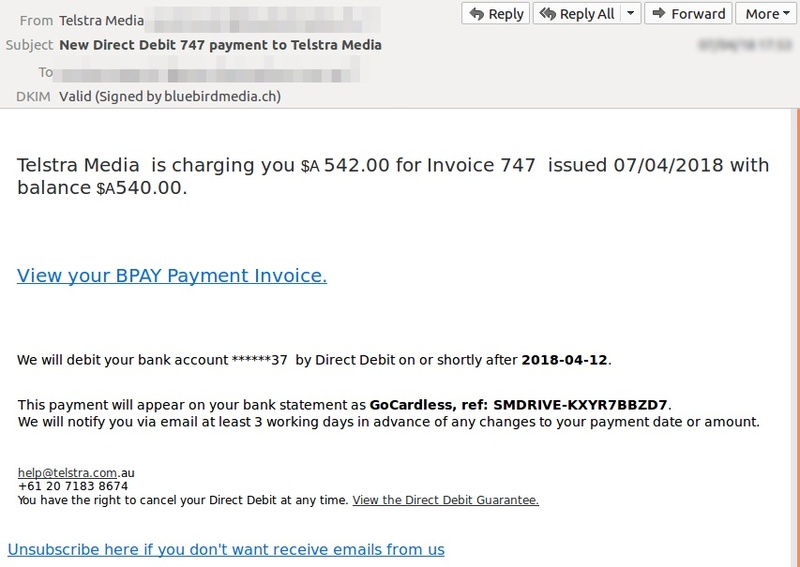 Watch out for this email invoice scam. 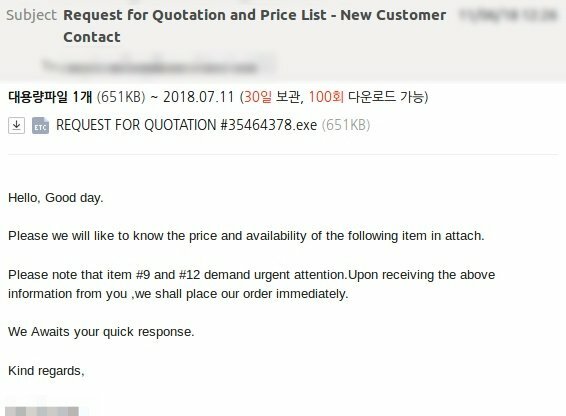 MailGuard has detected fake invoice notifications like the one in the screenshot above, being sent from a wide variety of compromised email accounts. 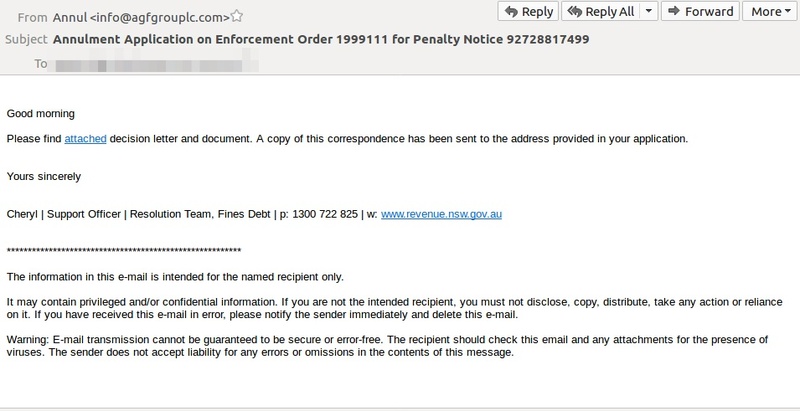 This malicious email - see screenshot above - is designed to look like a NSW Government “penalty notice,” using a fake “revenue.nsw.gov.au” link to try and lure victims into opening a malware-infected .doc file. 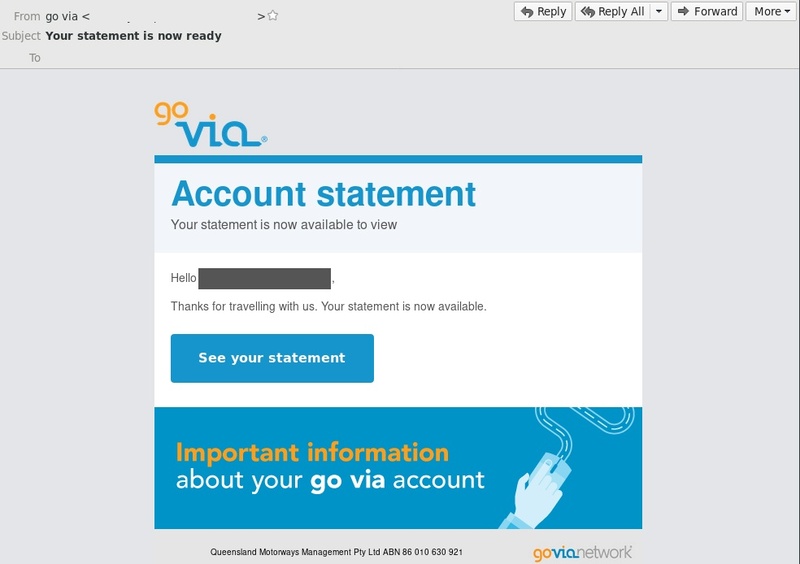 MailGuard has detected an email scam impersonating Go Via. 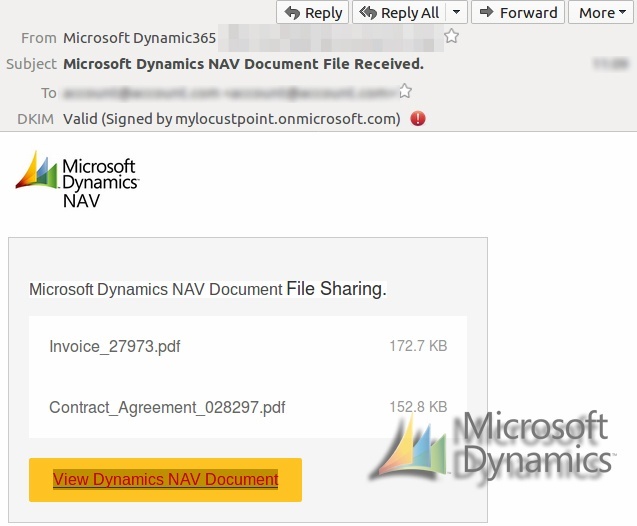 The message (see above) is designed to look like a real Go Via statement notification, with logo branding, etc. This scam is being sent from multiple email accounts. 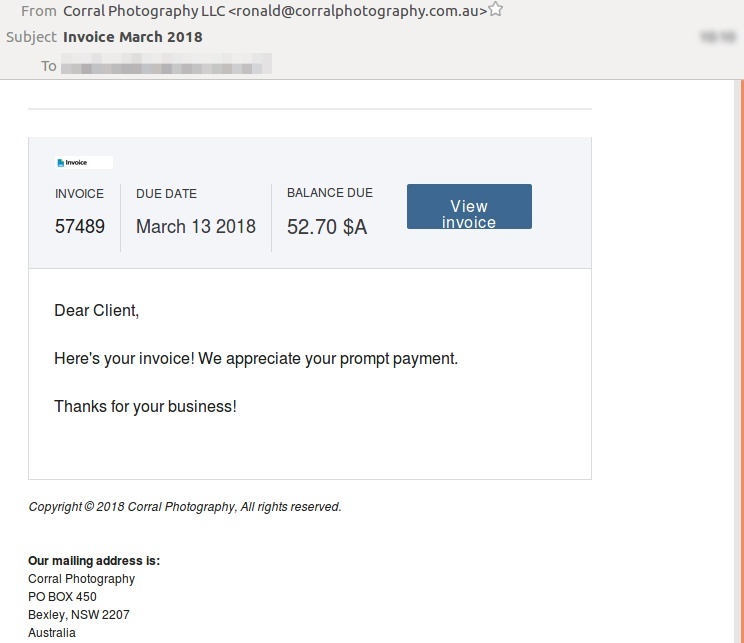 MailGuard has detected a batch of scam emails that are designed to look like invoice notifications from the photographer and contain a ‘view invoice’ link which directs the victim of the scam to a file containing malware - see screenshot, above. 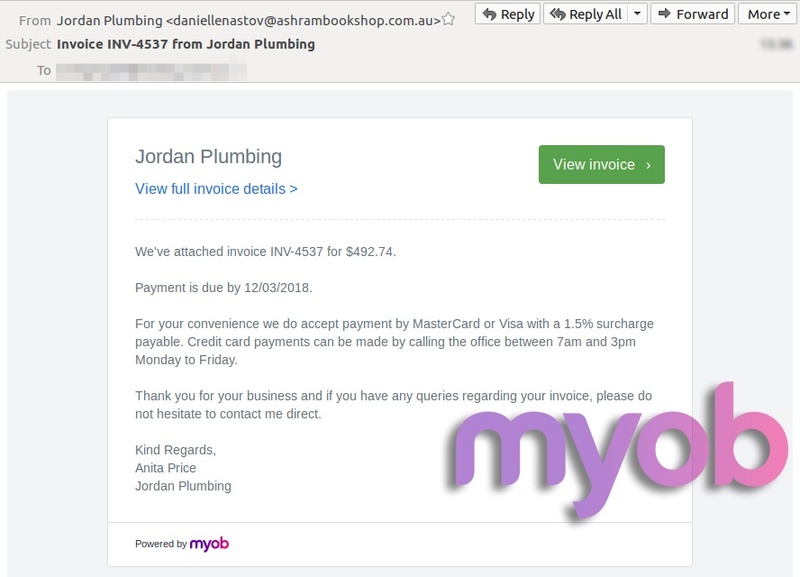 MailGuard has detected a new fake invoice scam today, ripping off MYOB branding. 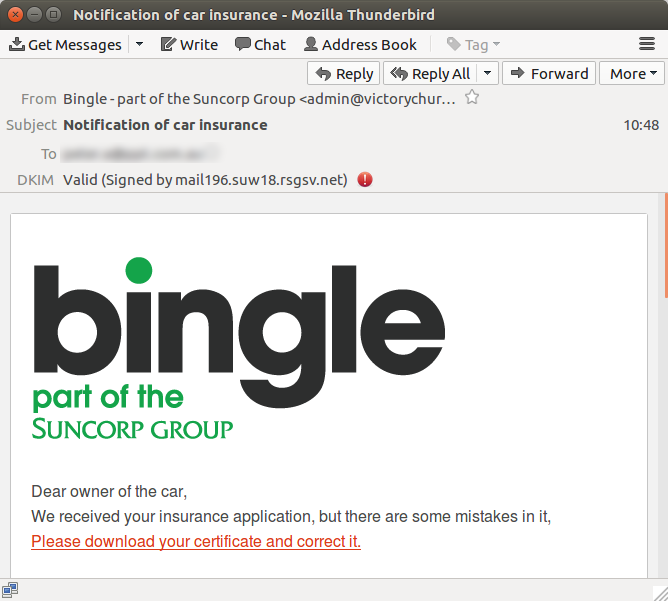 This criminal-intent email attack is a typical example of the bogus notification type of scam. 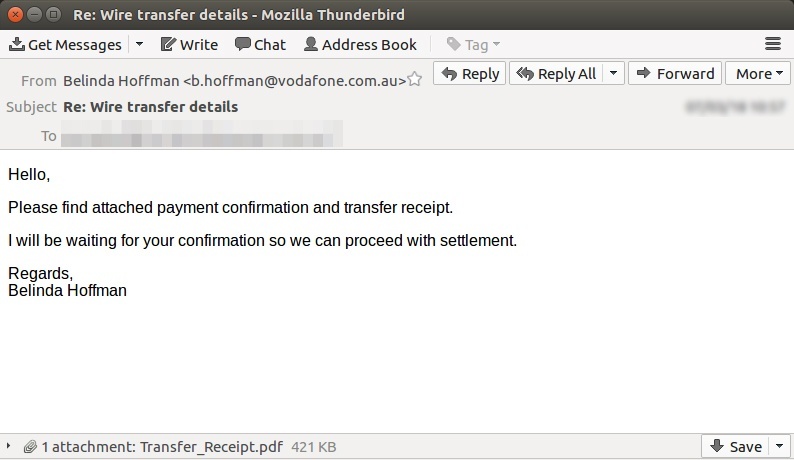 The message received by the victim is designed to look like a genuine invoice notification message, complete with MYOB trademark, but when the victim clicks on the ‘view invoice’ link they are delivered to a malware file instead. 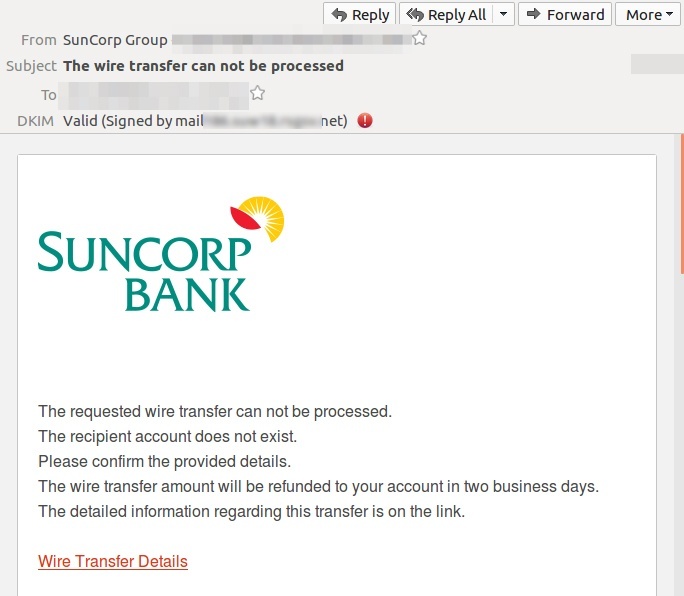 There’s a new email scam going around today with fake Westpac Bank branding. This message links to a phishing page designed to harvest people’s bank login details and personal information. 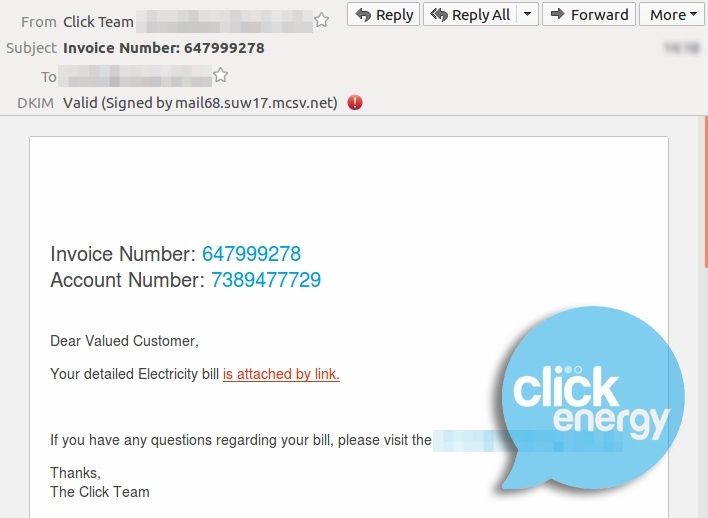 MailGuard has detected a new email scam using fake bill notifications from Click Energy. This message should be relatively easy to spot for the observant scam skeptic. It is very plainly formatted and doesn’t include any graphical elements such as Click’s logo.